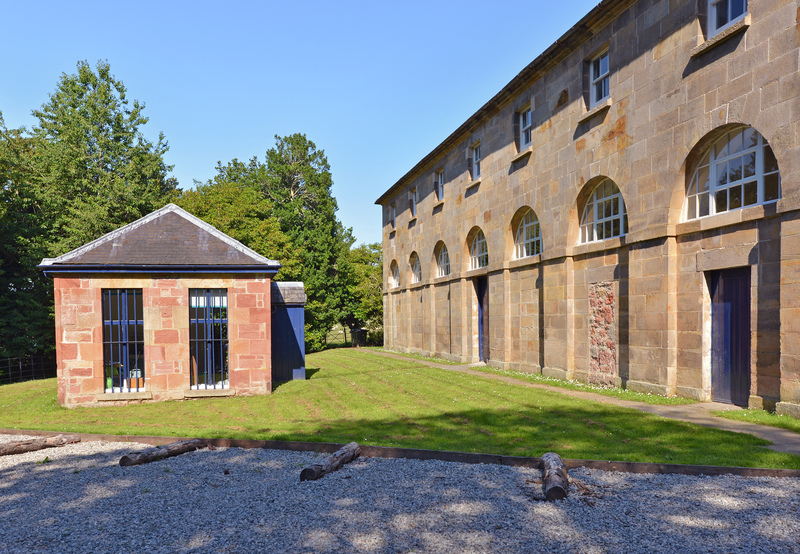 The Stables lie in a tranquil setting above the town of Cromarty, half a mile up the hill towards the top of the South Sutor. This imposing Georgian building was converted in 1995 to accommodate a Gallery, ground floor artists’ studios, smaller workshop rooms, a darkroom, and a glass studio workshop. It also contains a one-bedroomed flat (sleeps 2), which is rented out long-term or made available to artists in residence. 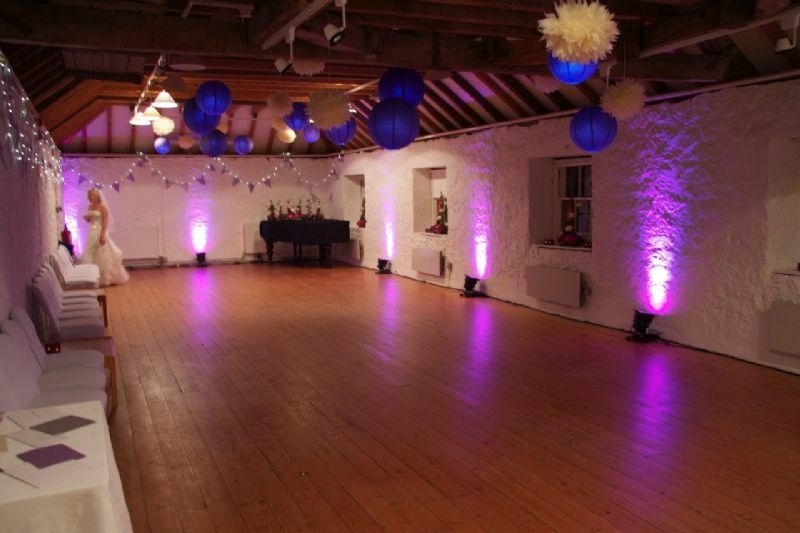 The rooms can be hired for weddings, conferences, concerts, exhibitions, workshops, rehearsals, sound recordings and celebrations. Outside, the slope of the grounds around the u-shaped building form a natural amphitheatre creating a perfect setting for open air theatrical and cultural events. The Stables path has inscriptions from the writings of Sir Thomas Urquhart. Richard Kindersley, the celebrated master stone letter carver, completed this project a few years ago with a group of apprentices; the new stonework has added to the character of this Grade A-listed Building. The Stables has a full Public Entertainment Licence and can accommodate 120 guests at functions. The Gallery dimensions are 17m x 6m. There is a car parking area and downstairs 'tea point' with sinks, kettle, microwave and fridge. This stunning location is the perfect space for imaginative thinkers, getting your creative juices flowing or just soaking up the sea views and rural peace. Just a quick note to say thank you very much for allowing us to use The Stables yesterday. We had a lovely day of recording – what an inspiring venue!” “The Stables acoustically is a great space to perform and record, and Cromarty all round is very inspiring. 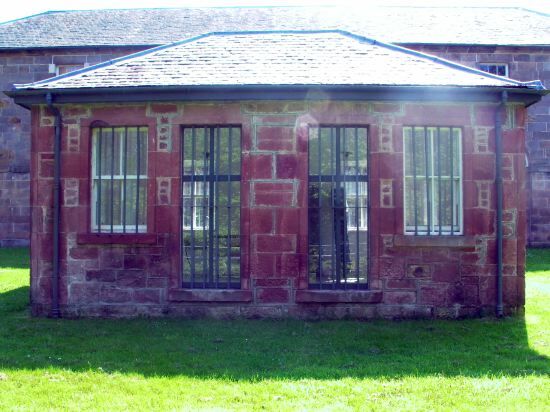 A spacious and fully-furnished one bedroom flat within the Stables Arts Centre complex is occasionally available for let. With beautiful views, inspirational, peaceful atmosphere and parking, the flat comprises double bedroom, living room/kitchen, bathroom. Ideal for beach/walking/bird and dolphin watching and would particularly suit an artist or writer. Fifteen minute walk to the centre of Cromarty and the harbour. £500 per calendar month inc free Wi-Fi. Fully furnished. Electricity, council tax & phone calls are extra. The Game Store is a bright, airy studio situated in the grounds of the Stables complex. It is available for artists to rent on a short term or longer term basis. 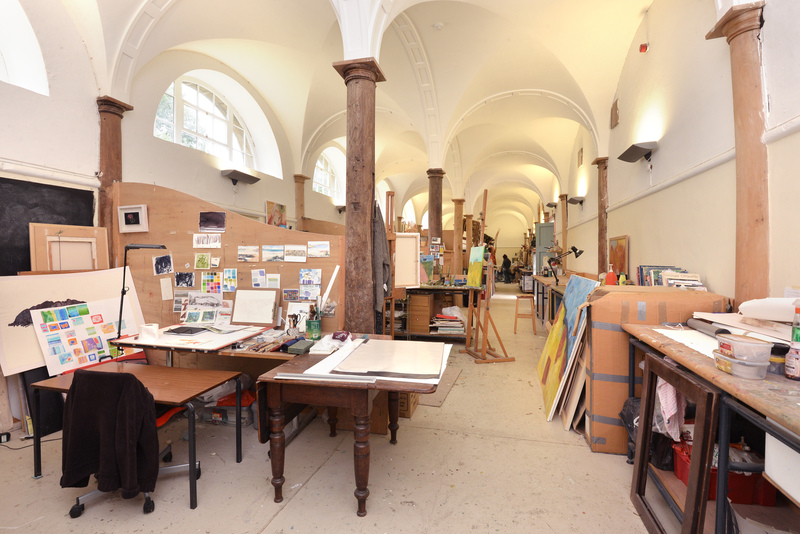 There are six artist bays in the main Stables building. 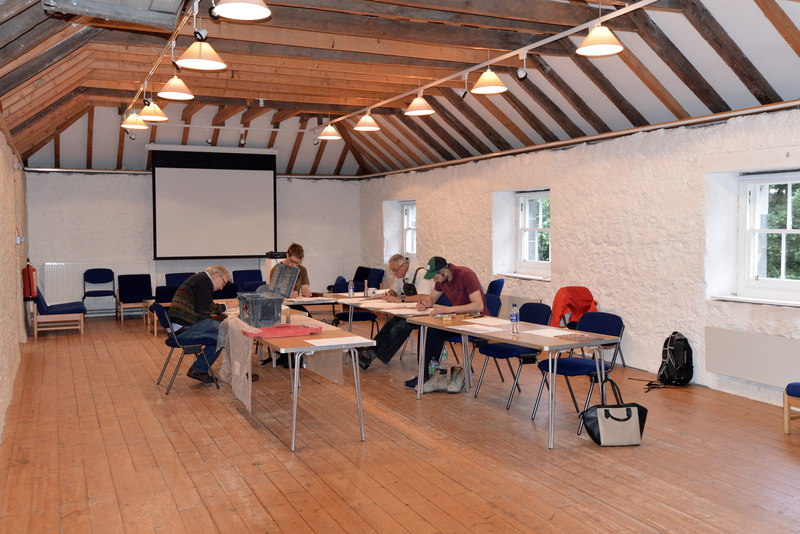 Some of these bays are rented by local artists on a long term basis, but there are often one or two bays available. So if you are an artist looking for studio space please do contact us and come and join our artist community. Find out more about the current Stables Studio Artists here.